Reviewing the new picture book The Big Book of the Blue by Yuval Zommer is a joy. First thing you notice is the beautiful blue color and the oversized dimensions, perfect for a book about the huge, expansive ocean. Then you pop it open and you see the playful, lively illustrations. You can imagine the fish swimming and the jellyfish bobbing. Delightful! That isn’t all there is to discover. In the front matter is a challenge to find a sardine tucked into the illustrations throughout the book (the answers are in the back). Delving deeper, you find general discussions of different creatures found in the ocean before discovering two page spreads about specific ones from sea turtles to dolphins. Each one makes full use of the extra space and some are oriented landscape versus portrait. They are gorgeous! And packed with great information! The back matter includes “Did you find?” the answers to the sardine challenge, “Fishy Phrases” about scientific vocabulary, and a whale-sized index. But don’t expect to arrive at the back matter quickly. Once you start swimming into the book, you will want to immerse yourself. The Big Book of the Blue is the type of book that begs to be shared. 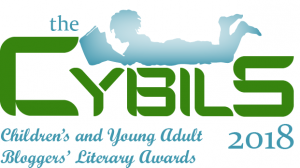 Grab a copy, find a quiet corner, and spend time with it. Children will love it. For a number of hands-on activity suggestions, check the Ocean Science Category at Growing with Science, including a week of ocean science STEAM activities. Want to read more? 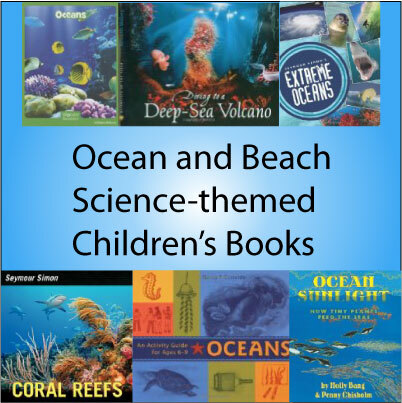 See our growing list of children’s books about the oceans at Science Books for Kids. Today we’re going to read and giggle about the picture book Bugs Don’t Hug: Six-Legged Parents and Their Kids by Heather L. Montgomery and illustrated by Stephen Stone. The premise of this fun book is to compare what people do with what bugs do. Surprisingly, although bugs really don’t hug, there are many, many similarities. For example, the author says mommy bugs don’t make scrambled eggs for their kids for breakfast, but female crickets do feed their babies special nutritious insect eggs they lay themselves. After many similar comparisons, in the end we conclude that bugs take care of their “babies” in many special ways, too. The text isn’t for the faint of heart, but is for the young at heart. You’ll find references to dirty diapers, poop, spit, and mouse meat. Plenty of the gross factor that kids of a certain age find so appealing. Stephen Stone’s Photoshop-generated illustrations wobble between relatively realistic and wildly humorous cartoons, depending on the tone of the text. For example, the “baby” bugs playing peekaboo are cartoons, those hiding under the mother tortoise beetle are closer to real life. The back matter is great. 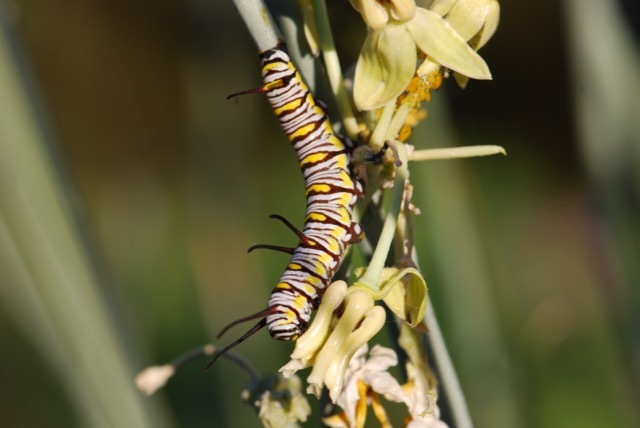 Besides more serious information about each of the featured insect species such as as their scientific names and where they are found, you’ll find “More to Read” suggestions, and an “Author’s Note” about the playful terminology she used and how it compares to scientific terms. For example, a baby in the book is actually refers to a larva or nymph. Bugs Don’t Hug belongs both in the science classroom and at home as a book to share at bedtime. It is perfect for budding entomologists and entomophobes alike. Pick up a copy today! Check the publisher’s website under the “Downloadables” tab (on the “Look Inside the Book” box -middle of page) for a teacher’s guide to download. It has activity suggestions. Let’s take a look at the cute picture book, The Honeybee by Kirsten Hall and illustrated by Isabelle Arsenault. Following honeybees as they gather nectar, bring it back to the nest and process it, Kirsten Hall’s rhyming, passionate text is wonderful. The pleasant alliteration and numerous verbs to keep the reader entranced. 1. Legs on the honeybees’ abdomens. Insects legs are attached the middle section (thorax) only. I know, the illustrations are cartoons, but it wouldn’t be difficult to extend the lines to the right place. 2. Honey bee nests out in the open on a tree branch. This mistake goes back to Winnie the Pooh, where the honeybee nests are actually wasp nests. Most of the time the European honey bees nest in tree cavities or other enclosed spaces in nature. That’s why hive boxes have walls on all sides. If the nests are in the open, such as on a cliff face, they are well under a protective overhang. Would I not recommend the book because of these problems? No, because now that you know, you have an opportunity to explain to children. Sometimes we learn more from the mistakes. The Honeybee is a sweet celebration of these beloved insects. Caveats aside, it is still a fun informational picture book. Have some honey on crackers as a snack (after reading the book). 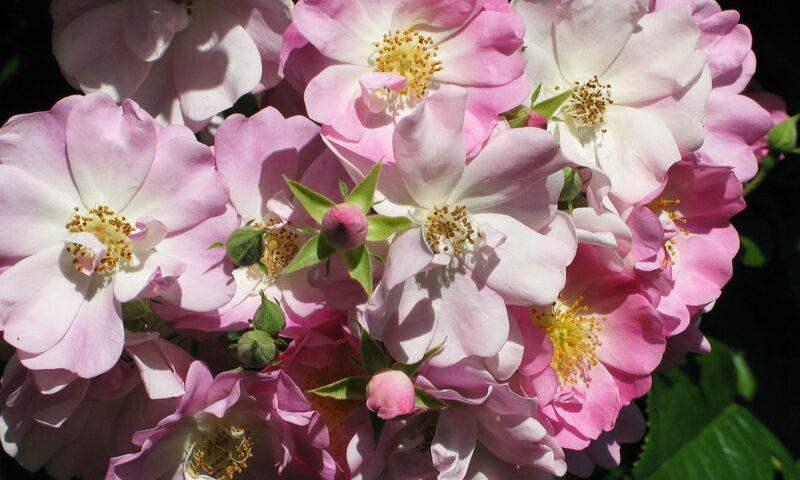 Check out the related hands-on honey bee science activities at Growing With Science blog. 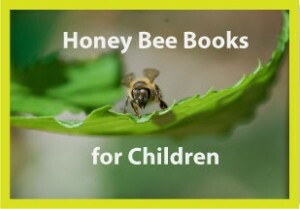 Visit our growing list of children’s books about honey bees at Science Books for Kids.